This wonderful venues is considered one of the most beautiful town halls in the Marche Region. The palace was originally built in the XII century and has undergone many renovations during the centuries. The facade has a wonderful portico and loggia. 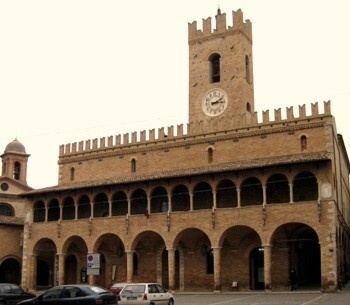 Civil weddings take place inside in Offida’s town hall wedding salon.